Also available with rotating handle! The VSX-series of hand pruners offers a number of features for professional use. The locking latch is released by simply squeezing the handles, enabling single handed operation. The pruners are made of thick high quality cast aluminum with a non-slip coating of smooth plastic for greater durability and comfort. 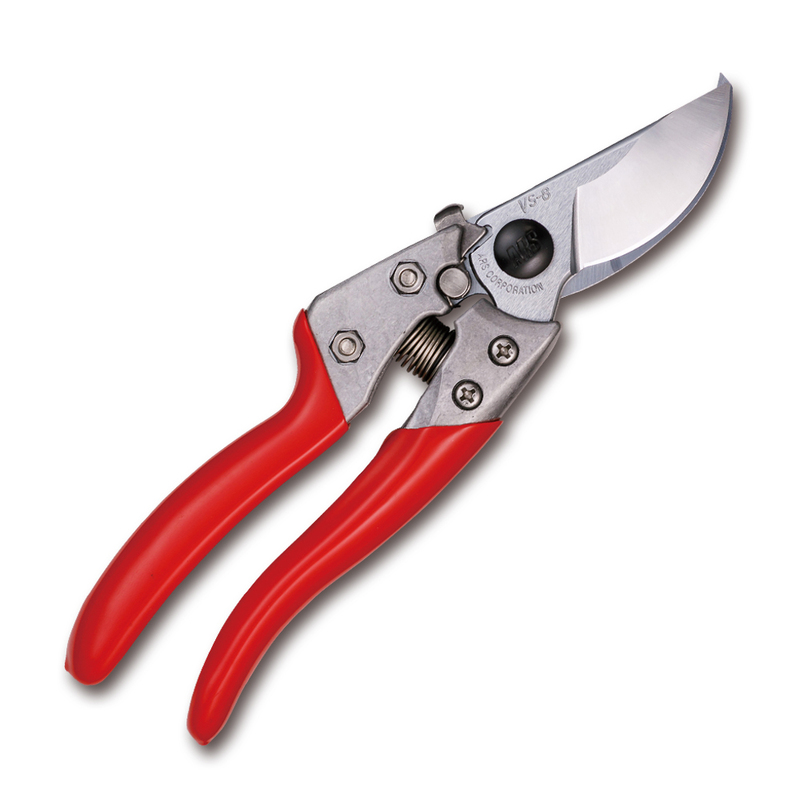 These pruners are lightweight and perfectly balanced to allow all day use with minimal strain and fatigue. The blades are hard chrome plated for greater hardness and rust and sap resistance. The blades are offset at an angle to maintain natural hand strength and can be re-sharpened or replaced. The VSX series includes the standard sized HP-VS8XZ as well as the HP-VS9XZ and HP-VS7XZ to fit larger and smaller hand sizes!